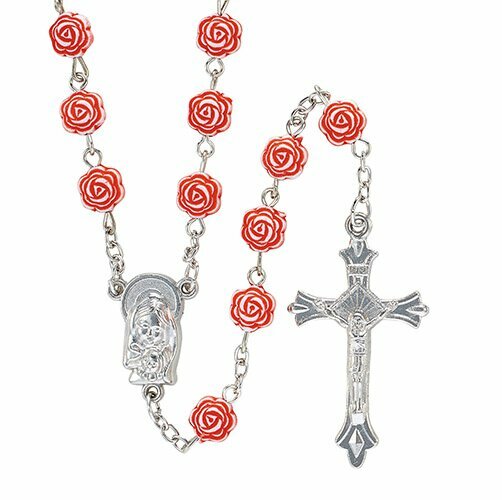 This rose bead rosary is a great way to encourage Catholics to pray the rosary daily. Each is durably crafted and includes rosebud shaped beads and a Blessed Mother bust centerpiece. Their value price allows them to be perfect giveaways during religious gatherings, celebrations or feast days.